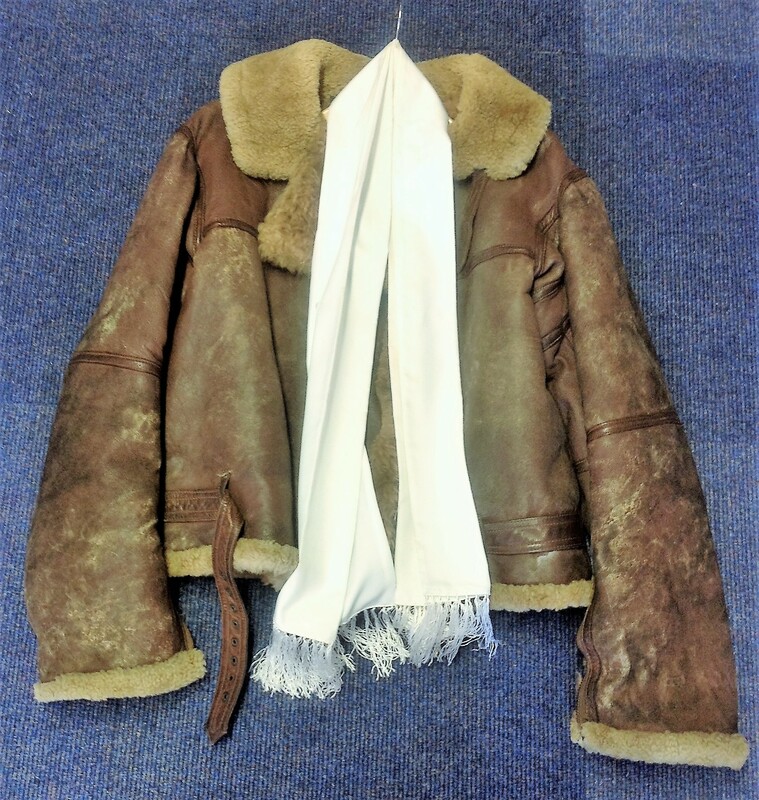 Tirpitz raider WW2 RAF bomber Leather flight Jacket and white silk scarf owned by Warrant Officer Harry Johnson DFM, 57 & 617 Sqn. Navigator He flew all three Tirpitz raids, Saumur Railway raid, and 97 flights in the Berlin Airlift. Original brown leather flying jacket, from the collection of 617 Sqn aviation historian Jim Shortland. Has some signs of wear and was used throughout the war, indeed Johnson described his lucky jacket and used elastic bands over the wrists, where the zips were broken rather than obtain a new replacement. An important piece of WW2 history. Good Condition. All signed pieces come with a Certificate of Authenticity. We combine postage on multiple winning lots and can ship worldwide. UK postage from £3.99, EU from £5.99, Rest of World from £7.99.